JARED STONE attended the University of Kansas, graduating with dual B.A.s in Cultural Anthropology and Film, with a concentration in Visual Anthropology. He began his career with National Geographic Television, beginning as an intern and rising through the ranks to become a producer. At that point, he entered the agency world, producing television for a multitude of clients including ABC, NBC, FOX, the CW, FX, Bravo, USA, Lifetime, Sony, and Telepictures, where he won an Emmy in 2013 for his work on The Ellen DeGeneres Show. 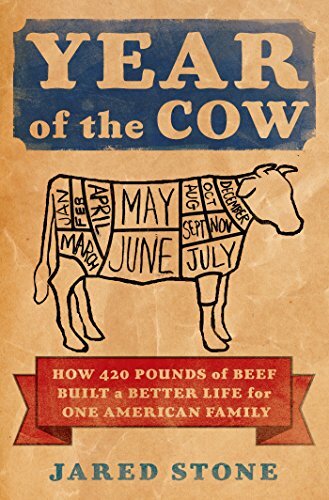 In addition to his television work, Stone is also the author of several screenplays and is the creator of yearofthecow.com, a blog that detailed his quest to make the absolute best use of an entire cow that he possibly can. Stone lives with his wife, Summer, their two children, and a large dog in a small house in Los Angeles.